Lucio Dalla - well-known Italian singer and songwriter suddenly passed away on March, 1st 2012 - is now resting in the family grave at Certosa, Bologna monumental cemetery (Italy). 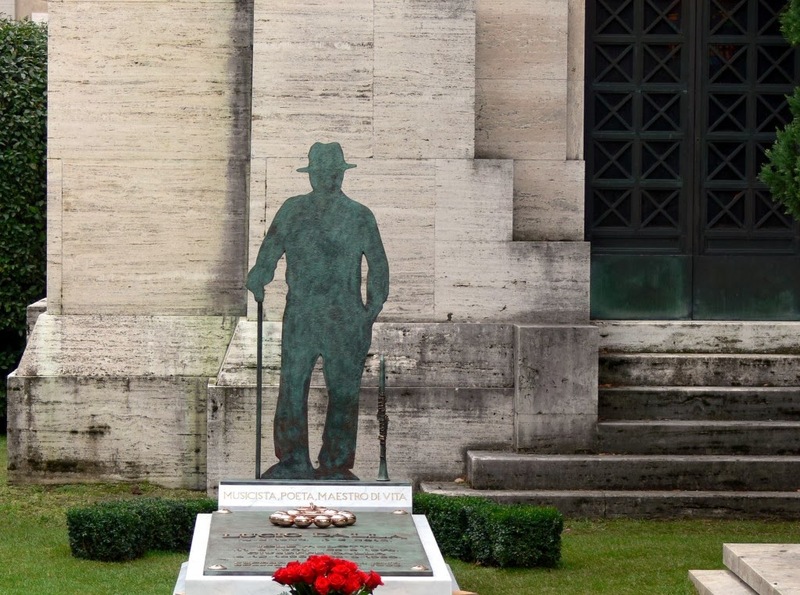 The grave, realised by the sculptor Antonello Paladino after the designs of Stefano Cantaroni, a friend of the artist, portrays a bronze silhouette of the songwriter with a hat, a walking stick and a clarinet, his distinguishing features. The grave is situated next to the ones of other great Bolognese figures of the 20th century, such as the poet Giosue Carducci and the composer Ottorino Respighi.